I, for one, have never trusted unicorns. Anyone who starts a conversation with “it’s time you knew the truth” is a big fat liar! Particularly if they’re playing the “Unicorn Pony” bit. Damn you hasbro, DAAAMN YOUUUUU. You know … as bad as the Imps have been before, they’ve acted to ‘teach’ her, keep her happy, have fun or protect her. Imagine the damage they’ll do if she ASKS for it. IE when she finds out Mr Buttercups was responsible for those 3 vile imps that messed her up for some time. For appearing like this, I dunno if I should mock him or actually respect him. Man, you must not have any dignity left, don’t you?! Ooh, dirty pool, cat. 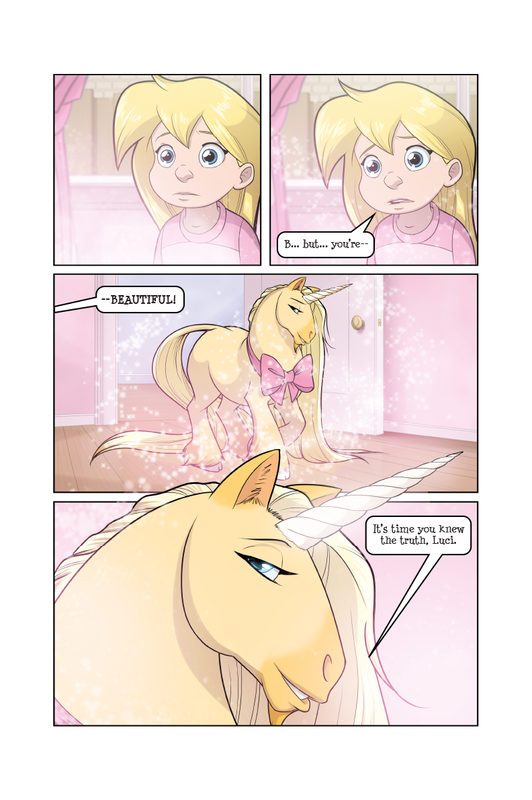 No little girl can ever resist the power of a magic sparkle-unicorn. Even one whose best friends are a trio of screwball imps from Hell. That, Mr. Butterpaws, is full of cheat and lies. Learn the truth: Butterpaws lies all the time! I want to trust him because he’s a unicorn, but i know he’s a demon, but he’s a unicorn…. is the cake really a lie? or for that matter, is it even cake? I don’t know anymore.